Working in Real Estate since 1990, Nicci's highly valuable experience covers many sectors within the industry. Commencing as Receptionist and quickly progressing to Property Manager and Trust Accountant. Wanting to further her knowledge she then performed the role of Personal Assistant to the Manager Director as well as Marketing Coordinator of a busy four Office network. Combining practical experience, along with completing her Cert IV Business (Estate Agency Practice) at Swinburne Tafe to become a Licensed Estate Agent, Nicci furthered her career as Branch Manger then Officer in Effective Control. Being with Harcourts for the past 13 years, Nicci now oversees all Policies & Procedures within the Pakenham Office along with Trust Accounting for both the Sales & Rental Department and Bookkeeper for the Company Accounts. Nicci provides huge value to the team and ensures the smooth day to day running of the Office. Pakenham is one of the fastest growing suburbs in Victoria! The buzz is fantastic! With many upcoming projects developing in the area including new estates, shops, schools and business parks, the area is only getting better! Knowing the area and target market for each home is vital to achieving the best results and the highest price. Tain Bartholomew is a local agent who lives in Pakenham and enjoys what is offered by the town, participating in local sport is just one of Tain’s most enjoyed community activities. Tain knows the best selling point of each area of Pakenham and takes pride in marketing every property so it stands out from the others. With all the enthusiasm, energy, determination and skill to succeed in his local area Tain has proven his passion for the town and recognises the development and growth that is expected in the years to come. Tain has been at Harcourts Pakenham close to when the doors opened in early 2007. “We were new to the town and no one knew who we were” says Tain. However it didn’t take long for Tain to achieve some high outcomes resulting in the rapid foundation of a solid client base. Crediting his exceptional customer service as a key component to his achievements whether your purchasing or selling a house Tain works hard to ensure an enjoyable experience for all parties. Tain’s hard work has been recognised by a number of awards received from the Harcourts organisation including: Gold Award winner Top 20 VIC Sales Consultant Top 100 Australia Sales consultant Silver Award Winner 2013 Tain’s journey so far has been a remarkable and rewarding process “I have loved every minute of my real estate career and I’m genuinely excited for the future, I still get up every day excited to go to work, and I think that shows in my results and numerous awards” Tain acknowledges all members of the Pakenham office for his success and believes team work is a strong element of achieving the highest results possible. When selling your home you want an agent who recognises the fundamental components of the entire process, together with passion and success within the area. Tain continues to prove his enthusiasm to take on a challenge and get the highest possible price for his vendors. Adam prides himself on being an approachable, welcoming and genuine person when dealing with people in any situation. He is determined to always put people’s needs first. When dealing with Adam you will experience 24/7-hour service, as he makes sure you always feel comfortable through each step of the way when purchasing or selling your home. Outside of the office Adam works just as hard writing and making music, playing sports and maintaining a strong relationship with family and friends. Adams high level of enthusiasm, professional manner and attention to detail means you will be guaranteed outstanding support through each and every enquiry you have from start to finish. John Coughlin brings some 40 years of professional Sales and Marketing experience to Harcourts. He has a well deserved reputation for a positive attitude, good communication skills, honesty, understanding and an excellence in, and a commitment to, exceptional personal service. 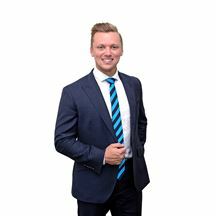 Since joining the Harcourts team he has achieved great results in selling properties at excellent prices and has received glowing praise from both Vendors and Buyers. Over the years John has himself bought and sold a number of properties, he understands the joy of home ownership, of having an investment property and of securing your family’s future. He also understands the challenges, the pressures and the stress that can be associated with a sale or a purchase. This personal experience of the home ownership journey gives John a unique insight into what you are going through, and it also allows him to help you make the transition go as smoothly and as stress free as is possible. In his spare time John’s passions are reading history – he has an extensive library at home - and travelling, and a particular love of walking the Camino in Spain. John looks forward to the opportunity to meet with you to discuss your needs and turn them into reality. Kate Radcliffe comes to the real estate industry from a strong background in sales and customer service with nearly 20 years experience in retail, wholesale and direct selling fields. Known to her colleagues and clients alike as being driven and determined, Kate’s strong work ethic and sheer determination to get the job done sets her apart from others in the property industry. Throughout her career, Kate finds the most rewarding part of her work day is interacting with her clients and colleagues, as well as working with others to achieve successful outcomes for all involved. Moving into a career in real estate many years ago seemed a natural progression to Kate, having bought and sold several times, renovating and finally building, she has experienced personally the processes involved in the real estate industry. ‘I enjoy spending my working life out meeting new people, and building relationships,’ says Kate, ‘It’s personally satisfying to help someone find their perfect property, or to see a vendor achieve an excellent result. Then to have my clients refer me to the friends and family is the ultimate compliment.’ Kates exceptional service and personal way keeps the process of either selling or buying simple and easy. Vikki Bergman provides administration support and is here to assist and ensure Kate continues to provide the same outstanding experience that she is very well known for within the Lakeside Estate and surrounding Pakenham Areas. For all your real estate queries including an obligation free appraisal of your home, please contact Kate or Vikki to arrange. ‘Number 3 Agent for the Harcourts Victoria 2017 - 2018 year’ Experience the difference with Marcus, your local property professional! With over 8 years of gathered experience, Marcus understands what it takes to give his clients an outstanding personal and professional service. Servicing the Cardinia Shire and surrounding, Marcus has built his reputation on his enthusiasm, energy and unwilling desire to create an out of the box experience for his clients. Recognised as a sellers agent, Marcus is a proven, tough negotiator with exceptional results in all avenues of Real Estate. His strategy is unparalleled, customising a tactical plan for each individual client based on their personal needs. This creates a ‘stress free’ sale, allowing Marcus to guide his clients to success. Marketing homes to the world is Marcus’ speciality, creating excellent and attractive marketing for every property. Marcus showcases the key points about each home through film quality videography, 3D home tours and the most innovative photography available. Communicating with his clients is paramount. Whether it’s a phone call before work, or a Skype call overseas, it will feel like Marcus is holding your hand every step of the way. He believes a modern day agent needs to be flexible and have an integrated work-life balance, ensuring he is available 24/7. Marcus is a young, dynamic, thinker that will always give you the best advice for your situation. In his mid 20’s, Marcus has the world at his feet and looks forward to sharing his special service with you. Shonah brings her boundless energy, strong work ethic and “can do” attitude to every aspect of her role. With a strong background in customer service and hospitality before deciding that real estate was her career of choice, Shonah has always continued to firmly set her sights on achieving the best results for her clients. Understanding that each and every client is unique in their needs, Shonah makes sure to take the time to ensure they are comfortable and informed through each step. She knows that regardless of selling or buying, she wants their experience to be positive and enjoyable. Starting out as a personal assistant for our sales manager, she has learnt the ins and outs of this industry from the entire team at Harcourts and has now furthered her career into a Sales Consultant with the knowledge and skills to excel. “Working alongside Tain has been a fantastic way for me to learn everything I possibly can in real estate and has assisted me with my on-going professional development. I am very lucky and grateful to work amongst such a supportive team.” Having purchased her first property at twenty three, she understands the importance of establishing effective, long term working relationships. Building an honest and friendly rapport with clients as she assists them through what can be a sometimes stressful process, whilst providing a high level of professionalism and trustworthiness to every interaction. Excited about the everyday challenges that real estate brings, Shonah also enjoys taking time out by spending it with her family and partner, and continuing the renovations on their home together. Traveling is also a special interest for Shonah and she plans to explore as much as possible. “I am passionate about my career and always want to be the person to help others achieve their next goal in life”. Alice has lived locally for 6 years raising her two children, developing a strong knowledge of the area and community. Alice started her career as a property manager in 2015, in this time she has developed the skills required to obtain the best results for her clients. She thoroughly enjoys building profound working relationships with her owners and tenants. 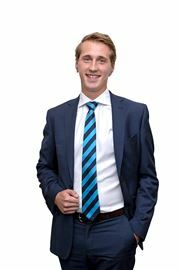 Robin previously worked as a Commercial Property Manager in the CBD. Upon starting her family she took time away from the workforce to raise her children. Returning to the workforce as a Residential Property Manager four years ago, her past experience has taught Robin the value of clear communication and keeping her clients fully informed. She understand that landlords are searching for a Property Manager they can trust and can act on their behalf to achieve the best possible results for their most valued asset. She has an honest and professional approach and strives to deliver the utmost care and attention to every single property. She will ensure that each Landlord and Tenant can be sure their needs will always have her attention and priority. Since moving to the Pakenham area and embarking on her career in the real estate industry in early 2011, Stephanie has helped many Tenants find their perfect rental property and assisted many Landlords in maximising their investments. Stephanie’s experience and expertise means she can be relied on to efficiently deal with any situation, from problem solving, to inspections through to rental reviews. Though Property Management can be a very demanding area of real estate, Stephanie rises to the challenge and enjoys meeting new and different people and forming strong and long lasting working relationships and is committed to delivering exceptional and efficient customer service. Growing up in the area and purchasing her first home in Pakenham with her husband Andy, Tara has a sound understanding of the area’s growth and potential, Pakenham is only getting bigger and better. Tara has had the fortunate experience of working with many great mentors during her Property Management Career and as such, has a sound understanding of legislation according to the Residential Tenancies Act. 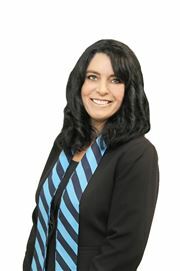 Tara commenced her career in Property Management in 2009 and has worked exclusively for Harcourts Pakenham ever since. Having worked her way up from trainee to her current position as New Business Manager, Tara loves the fast paced role which always keeps her busy and gives her the opportunity to meet new people in the community and help them with their real estate needs. Tara strives to provide the best customer service experience to all Harcourts Pakenham clients. “I understand the concerns of investors and strive for the best possible outcome when it comes to the leasing and continual day-to-day management of my client's valuable investment.” Harcourts Pakenham offers the very best in reliable, professional property management for residential & rural clients. We provide careful tenant selection, regular inspections, and superior cost effective maintenance coordination. We also deliver ongoing property investment feedback and ensure landlord compliance obligations are met. Contact our office today to discuss your investment/rental requirements. 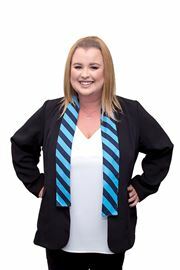 Carly brings many years of real estate experience to her role as Sales Administrator at Harcourts Pakenham. Carly began her real estate career in 2004 in the position Reception/Administration. After successfully completing her Agents Representative Certificate, Carly quickly moved into the position of Sale Administrator and not long after was managing the Sales Trust accounts. Carly is extremely professional, friendly and approachable. She show’s initiative and thrives on the challenges of her position and loves being involved in the sales process from advertising, to liaising with our clients, solicitors and conveyances through to settlement. Carly enjoys her role immensely and provides quality administrative support and assistance to the sales team. 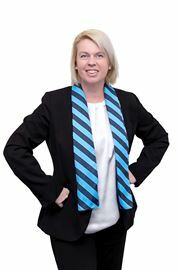 Vikki joins the Harcourts Team in Pakenham with over 20 years real estate experience. Vikki proudly works alongside both Kate Radcliffe and Marcus Washington as their ‘Personal Assistant’. Vikki provides all administration support to assist with a smooth selling and buying process which ensures that Harcourts reputation as #1 agent continues to strive in the local community. Her extensive administration and outstanding customer service skills saw Vikki awarded ‘Receptionist of the Year’ prior to starting her family back in 1997. Be the First to Live Here! Join us on Jacqueline !!! Move in and don't do a thing! Jam packed full of VALUE!! An absolute gem on Greendale! North-side living at its best! Get it all on Grattan! Be the King & Queen of Ahern! Check Me OUT! Cardinia Lakes. Be the winner on victory! All Eyes On Me - Arena! Rich in location and living! Arena Parade and the park! A Modern Cottage to call home! Big Living - Inside and Out! Modern living in Noble Park! Titled and ready to build! Key location in Henty Park! Hunting for your new home? Room for the kids to play! Ahoy Captain! New home Ahead! A sensation on Syme Road! Neat & Complete! Just Move In! You'll find me on Willowtree!